Last week I learned that President Bollinger approved my tenure at Columbia University, where I am an associate professor in the Department of Earth & Environmental Sciences. 2004: Graduated from Middlebury College with a degree in Physics. 2005: Applied to two Ph.D. programs. Accepted to MIT Program in Atmospheres, Oceans, and Climate. 2006–2012: Ph.D. in Climate Physics and Chemistry at MIT. 2011: Applied to one postdoc at Scripps Institution of Oceanography / UCSD. Immediately accepted. 2012–2013: 15-month Postdoc at Scripps. 2012: In the last months of my Ph.D., I also applied to three faculty positions (Columbia, University of Chicago, and University of Washington). Interviewed at Columbia and Chicago. Got an offer from Columbia three months into my postdoc. 2013: Wrote two starter proposals, one to NSF, the other to NASA. Both were funded. 2015: Wrote an NSF CAREER proposal. Funded on first try. Despite what my tenure review panel may have convinced itself, it’s clear to me that my scholarly accomplishments are no better than dozens of other exceptional colleagues who don’t have permanent jobs, let alone tenure. (See for yourself: my CV.) The truth is that I have benefited from every form of bias that exists in the academic system. I never experienced anything less than full support, encouragement, and validation for pursuing a scientific career. I never felt uncomfortable, unwelcome, or unsafe in any academic situation. And, until quite recently, I was pretty unaware of how much I benefitted from all these compounding layers of systematic bias. 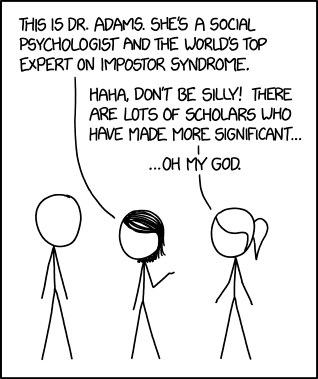 Everyone in academia suffers from imposter syndrome. In my case, there is little doubt that my imposter syndrome is real. If these forms of bias were removed (and I hope they are dismantled as quickly as possible), I would most likely be on my third postdoc, or have dropped out of academia altogether. So what now? What do I do with this incredible privilege I have been handed: a permanent job at an Ivy League university? This question has occupied me ever since I got the news. The answer can’t just be, “carry on as usual.” I remain incredibly excited about the scientific opportunities in my field, from new observations like the NASA SWOT Mission, new simulations like the MITgcm LLC4320, and new tools like deep neural networks for making sense of all this data, it’s am amazing time to be an oceanographer. But those things would carry on regardless of whether I’m involved, and whether I have tenure. What about things that are only possible now that I have tenure? It’s no secret that the absolute most important thing you must do to get tenure is to write lots of scientific papers, ideally good ones. Everything else is secondary. Consequently, the most subversive thing I could do at this point would be to stop writing papers completely. (I can hear the rest of my department gasp.) That’s not exactly what I have in mind, but bear with me for a moment. The number of scientific publications, in every field, is increasing exponentially. According to Nature, global scientific output doubles every nine years. The growth rate is likely to increase as countries like China continue to develop their scientific research infrastructure. 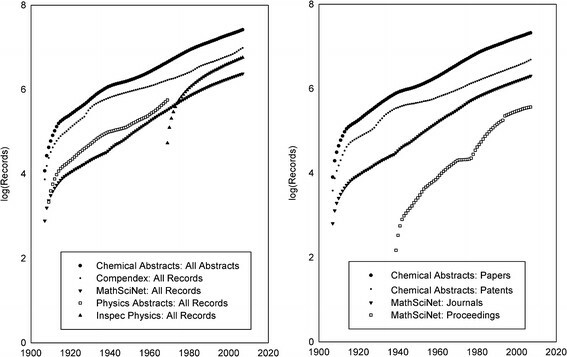 Cumulative number of records for nine academic journal databases 1907–2007 (semi logarithmic scale). From Gu & Blackmore, 2016. While in general it’s a good thing that the amount of knowledge in the world is increasing, this exponential growth in the number of papers has a lot of negative consequences. It’s overwhelming to new people entering science to have literally thousands of papers to study and cite. And the process of generating papers involves a ton of effort, not only by the authors but by journal editors and reviewers, who are expected to provide their services for free on a volunteer basis. I’m probably not the only person who is drowning in review requests and overdue review assignments (sorry editors!). Compounding the frustration is the sense that the real winners in this game are not the scientists, universities, or funding agencies, but the journal publishers themselves. A mild revolt appears to be underway, as major universities cut ties with publishers. The increase in supply is accompanied by a decline in the value of individual papers. Most papers report minor, incremental advances. Their reproducibly is, on average, low. Citation rates often accrue based on the reputation of well-known authors rather than true novelty or quality. And the process of producing papers is not particularly satisfying. While it’s great to see your name at the top of an article, the path to getting there is full of frustrations. The review process is a crap shoot — some papers sail through easily while others can be rejected for trivial reasons. Above all, the research experience is often lonely, involving long periods of isolation and solo work. While some people like that, most don’t. Most of us have just accepted this as “the way it is.” But recently I’ve started to think about how we could take apart the whole scientific publication machine and put it back together in a new way. 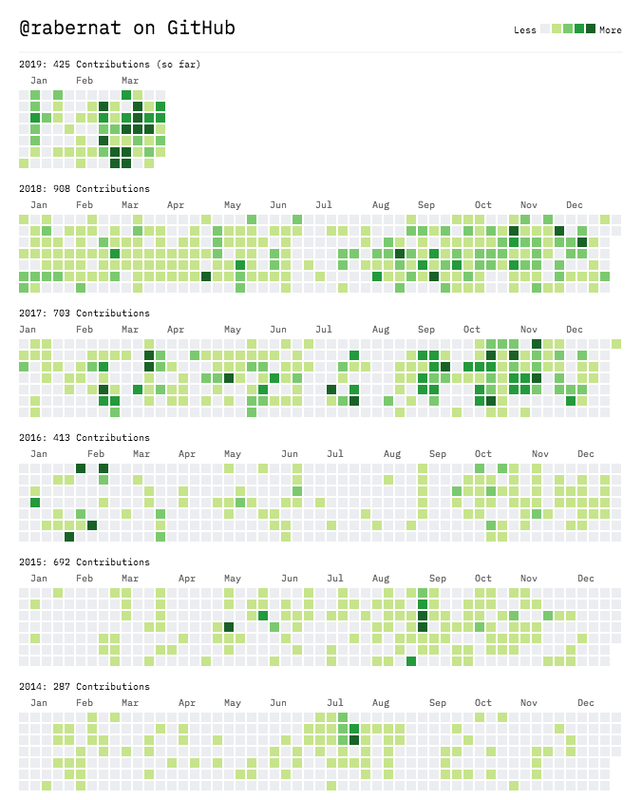 One thing that surely sets me apart from most of my oceanography colleagues is the sheer amount of time I spend on GitHub. This is closely tied to my obsession with software and my enthusiasm for the ongoing Pangeo project. But much of this activity isn’t just pushing code — it’s discussion and interaction with other developers and scientists. GitHub is by far my preferred social network. It makes my day-to-day work less lonely. And, more importantly, it enables highly-detailed technical discussions and collaborative work among diverse groups of people distributed around the world. One aspect of the GitHub workflow that is usually not appreciated by those who don’t participate is how much things can be automated. The minute I push new code, dozens of cloud-based services spin up to test changes, build websites, and possibly even deploy large-scale infrastructure. These practices, called Continuous Integration / Continuous Delivery in the software world, have the potential to transform how we do science, automating many of the tedious parts and baking reproducibility into everything we do. All this time on GitHub has got me thinking: What if we could do oceanography the way we develop open source software on GitHub? Of course, collecting data from satellites, ships, etc. can’t be done online and remains a crucial part of our enterprise. However, as in all scientific fields, interpreting the data is a growing challenge; this is a computational problem, for which the currency is computer code. Have I lost you? What does continuous integration have to do with white privilege? I believe that technology gives us the tools to create a more collaborative, more inclusive scientific process. The Journal of Open Source Software is one example of how this might look. What I have in mind is to apply the approach of JOSS to mainstream scientific research, where the entire research project itself, from data to code to figures, is subjected to the same standards of review, verification, and continuous integration. By moving the research process more into the open, and using cloud-based infrastructure, we can allow more people to participate (not just those with access to heavy duty computing resources). By using testing, continuous integration, and community-based review on scientific research products, we can transform peer review into something more transparent, efficient, and effective. By bypassing the traditional gatekeepers of publication, we can help dismantle the systems that confer status based on reputation and affiliation, rather than scientific merit. By using a social coding approach, we can reduce the chronic loneliness that seems to be an inevitable part of the Ph.D. experience. The best part is, the same technology will help us share ideas more freely and make new discoveries faster. I know this is a bit vague. What I’m describing is a very long-term project. Pursuing it will require temporarily sacrificing mainstream scientific success, like publishing lots of papers in fancy journals. And there’s no way I can do it alone! (That’s kind of the point.) But if I can help contribute to realizing this sort of vision, maybe I’ll feel like I have finally earned tenure.